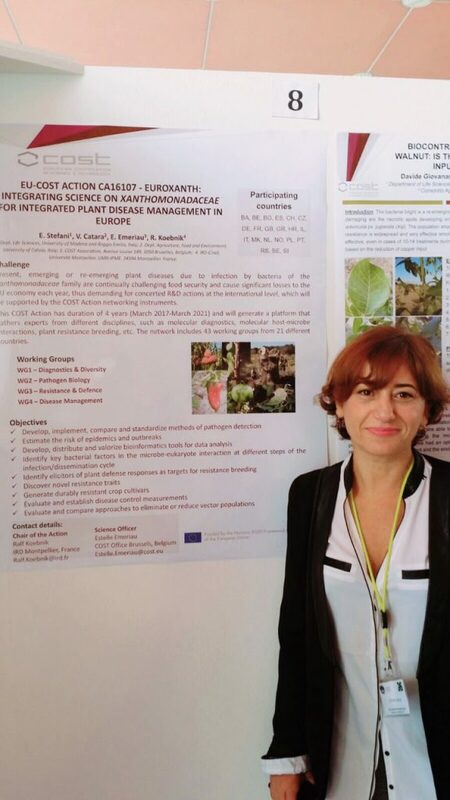 Our EuroXanth COST Action was presented by Prof Vittoria Catara (University of Catania, Italy) at the 23rd Congress of the Italian Phytopathological Society (SiPaV), which took place in Piacenza, Italy, from 4 to 6 October 2017. The event, which brought together Italian pathologists and important international guests for the 25th consecutive year, was organized by the Department of Sustainable Plant Production Sciences (DIPROEVS) of the Università Cattolica del Sacro Cuore of Piacenza. Thank you very much, Vittoria, for presenting our COST Action in Piacenza!